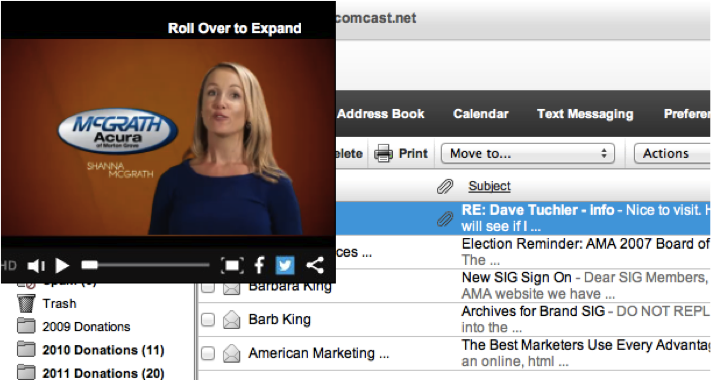 Comcast Hacks its Own Email Service! On Purpose! Really! UPDATE TO THIS POST – – SOLUTION FOUND! and not from Comcast. A helpful reader sent me the following recommendation, pasted below in its poetic entirety. Done and done! So easy…stop bitchin’! He was right – – it did work, very quickly. Why couldn’t Comcast send this solution? How does Comcast spell customer? Apparently, ‘H-O-S-T-A-G-E’. 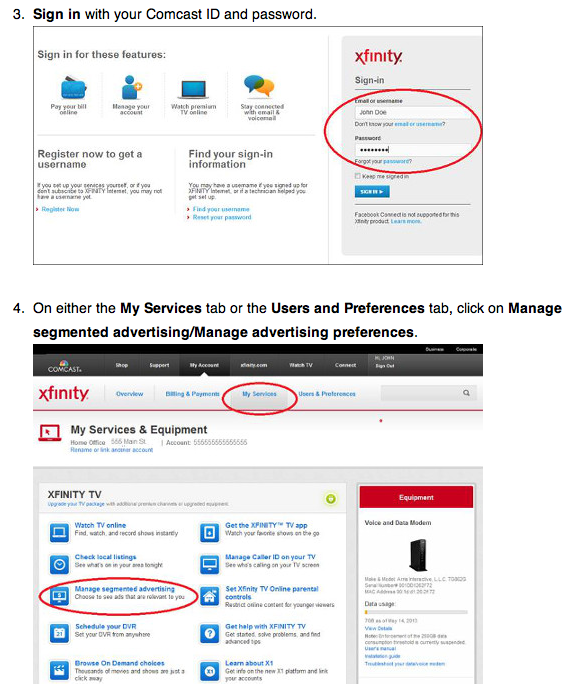 In a bizarre marketing gambit to generate revenue through its Xfinity email service, Comcast has not only demonstrated that it values advertisers over customers, it has shown that it has mistaken customer captivity for loyalty. When you have customers in a market where there are available alternatives, you need to do 2 things: a) keep them happy with superior service; and b) try to avoid giving them a reason to switch. Without warning, a square advertising banner appeared on the upper left of my screen, covering key email commands (select, delete, refresh, etc). 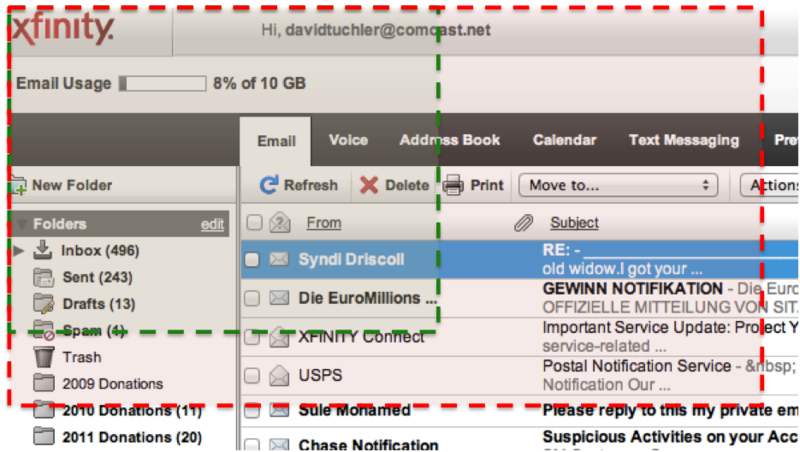 Comcast thus made it impossible to use its own email. This ad never went away. A mouse-over converted this box into a larger, even more annoying video ad, in effect acting as a palace guard, to ensure that customers couldn’t even try to get to the controls and read their emails. 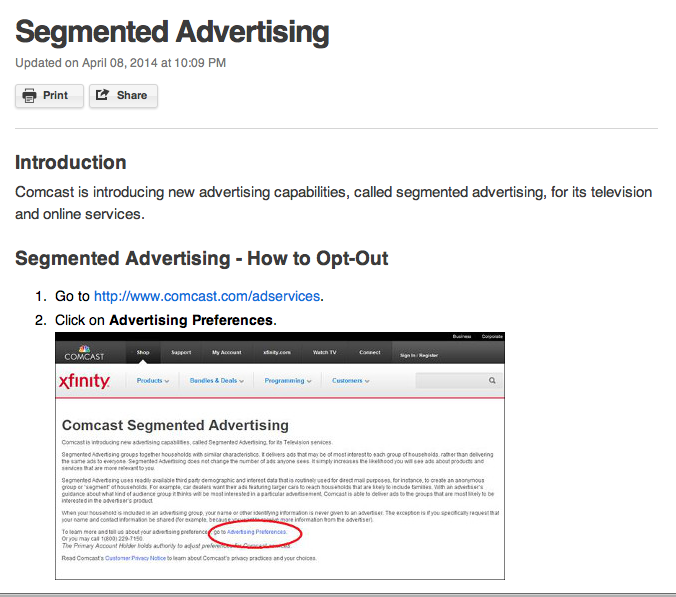 Footprint of ads shown below. Disabling this ‘feature’ required an email to Comcast, and resulted in a 6-step, byzantine preferences-changing process that ‘may take up to 30 days to take effect’ (see below). What? Complicated process + 30 days to opt out? Do you want me to switch? The upside-down-ness of this program is hard to believe, and is proof that at Comcast there is some kind of crazy monkey at the steering wheel. A hacker working for a competitor would be hard-pressed to create a more annoying disruption for Comcast users – and they’ve done it for themselves. 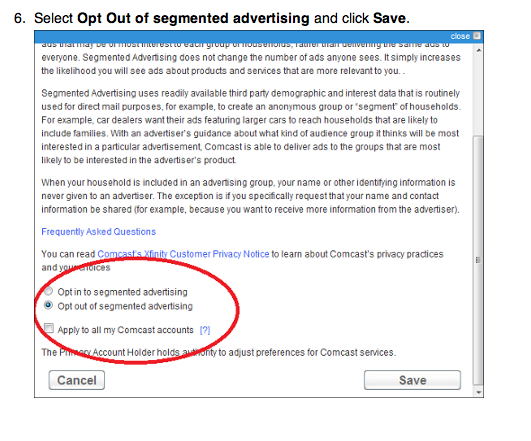 An opt-out approach FORCES ALL CUSTOMERS through the exercise of disabling (creating ill will), and forces customers to immediately try out an alternative (Apple Mail and gmail for me). Since I’m not in the market for a car, home furnishings, farm equipment, bankruptcy help or pawn services, I will survive. Finally, I’m writing this post/rant to share my experience (I was perfectly happy a week ago, mind you) and hope you share it with someone you love. Especially if they work for Xfinity. Again, the lesson, said a little differently: in a world with ready options, don’t piss off your customers. 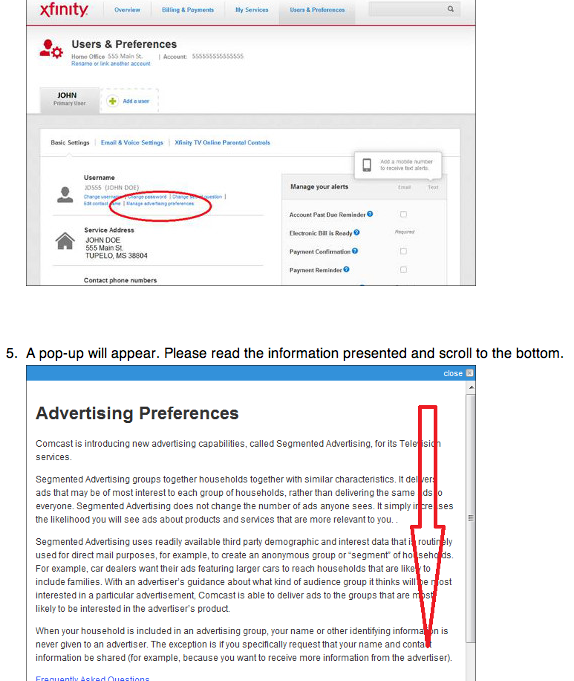 For those who are interested, below are screen shots of the process required to eliminate these ads (which hasn’t taken effect for me yet). Posted in Branding, Marketing and Media, Marketing Strategy and tagged brand hostage, brand loyalty, Comcast, Comcast Xfinity, customer loyalty, email provider, email service, hacking, opt in, opt out, preferences, segmented advertising. Bookmark the permalink. The future of shopping and loyalty is mobile – – we are continually reminded about this. Digital loyalty programs can leverage vast storehouses of data and sophisticated analytics, and can deliver individualized promotions at a time, place and shopping occasion that optimizes ROI. So why the heck is there, sitting on my kitchen counter, a sheet for gluing small stamps received with each shopping trip at the local Jewel (Albertson’s)? 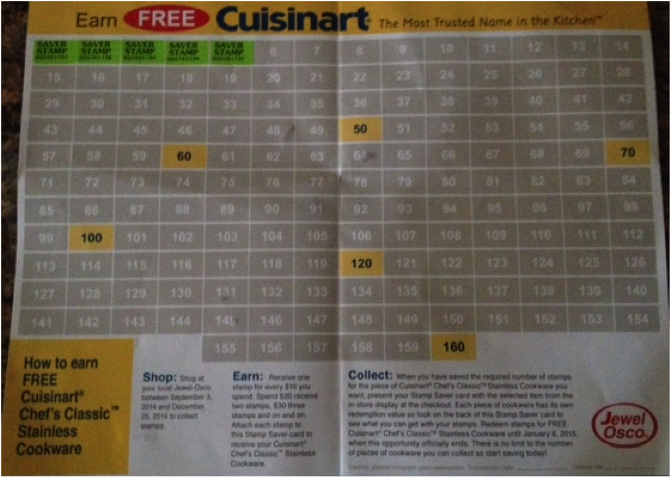 (If enough stamps are collected, a piece of Cuisinart cookware can be ours!). 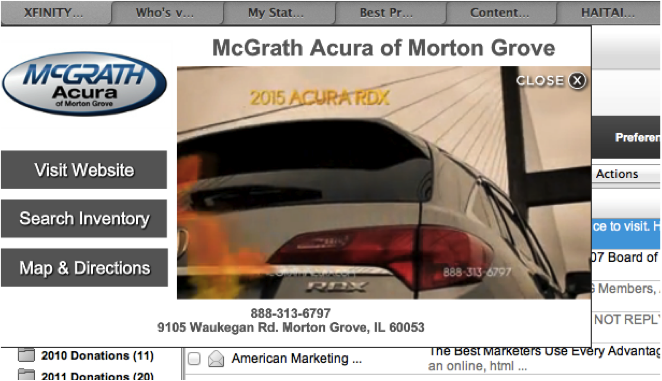 After all, this is an utterly low-tech, old media, one-size-fits-all loyalty promotion here in the digital age. Ultimately the reasons for this low-tech promotion’s survival are related to its low-techness, and can be helpful to more tech-driven modern programs. Hard to believe but this is essentially the same concept as S&H Green Stamps, which debuted over 100 years ago and were highly popular from the 1930s to the 1980s. You got stamps when you bought stuff, filled out books (typically 1200 stamps) and could then win prizes from a catalog. Stores that gave out these stamps used it as a competitive advantage. 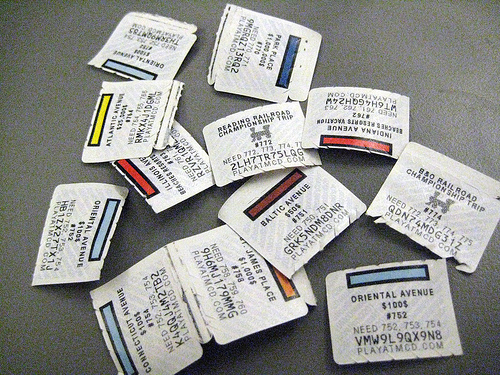 And this is not an isolated grocery type program – – McDonald’s famously runs its Monopoly program, where customers get game pieces on everything they buy, and can win big prizes if they collect the right stamps. So what accounts for these games’ popularity? 1) Simplicity – no apps, no logging on or passwords, no points to track online, no devices at all. Just shop, stick, rinse and repeat. It’s likely that there is greater appeal among older users for some of these promotions, but that doesn’t explain the McDonald’s popularity. 3) User involvement – Unlike an automatic electronic promotion, manually applying the stamps actively involves the participant, much like adding the proverbial egg to the cake mix turned Mom into a baker – increasing personal commitment level. 5) It’s fun! – there’s an excitement to participating in these promotions! It’s not just a mercenary exercise in repetitive purchases; there’s often an element of chance (and like gambling and golf, hope is what brings people back in the face of continued abject failure). I’ve not seen any statistics about whether any of these promotions is more effective at driving shopper loyalty than any other. I know that stamp programs definitely impact our shopping habits at home. In any case, it’s clear that digital/mobile is the future of loyalty programs, even if the transition will take some time. 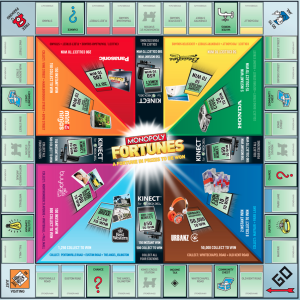 But some of the factors that make these old-school promotions popular can help make future loyalty efforts more successful. And until tech can replicate all of the above factors, it’s likely we’ll be shopping, sticking and winning, well into the future. Posted in Marketing Strategy, Retailing. Bookmark the permalink. To those who have subscribed to The Armchair MBA blog: Thank you! I continue to work hard to keep your eyeballs. I’ve just learned that in some browsers the links I embed in my posts don’t show up. Today’s post, for example, was all about some rather shameful WalMart TV commercials but for some people the links didn’t appear at all. For future posts, I encourage you to go to http://www.thearmchairmba.com (bookmark it if you feel particularly tech-savvy) – – I typically put several links in each post. This way you’ll get every last drop of goodness from each post. In the meantime, I’ll try to figure out a workaround. I don’t remember where I was when I saw the first of these spots, but it smacked me upside the head like a pouch of pasteurized cheese food product. In the sausage-making process wherein retailers devise merchandising schemes and then pressure manufacturers to fund them, WalMart seems to have inadvertently sewn together a nutritional monster of an advertisement (two, actually). The tagline on the spots: “Get a Smarter Start to School” couldn’t be more off the mark. These ads take us back to a time when nutrition is an afterthought at best, and where the convenience of instant food is paramount. Sorry, but quick + non-nutritious ≠ smart. A typical impossibly lovely and fit TV family is gathering before dinner and Mom asks what they want. Of course the young kids, being kids, throw the long ball by asking for their favorite processed foods: Hot Pockets and Chef Boyardee. The husband, being, well, a guy, goes to his mental bacon file and all he can come up with is…Bacon Mac and Cheese. Mom, the savvy and conscientious gatekeeper, decides she can easily avoid hassle and effort by immediately capitulating; three package openings, three microwave beeps and a token salad later, dinner is served. Mom is hero. No problem, right? Well, let’s assess the nutritional damage (Daily limits according to Netrition.com). (We’ve assumed the young lady would eat one Hot Pocket, the young man would eat one can of Mini Ravioli and Dad would eat until interrupted by dessert). In terms of calories, these are not horrible (but also don’t include other things served with dinner). In the case of protein, they perform well (particularly Dad’s, because bacon). On the other hand they provide a fairly heavy dose of saturated fat, carbs and sodium. And not much fiber. So nutritionally, this isn’t particularly ‘smart’, and in restaurant terms, steers more toward Bloomin’ Onion than Chez Panisse. It is definitely not a model for a balanced, nutritious meal. More insidious is the positioning of convenience above everything, where instant food, regardless of its merits, is the solution to ‘what’s for dinner’. The entire family seems to have completely slept through years of nutritional messaging, PSAs and school programs, and I’m guessing Michelle Obama would not endorse this spot. The audience gets a great reinforcement of instant food as good habit, and a great opportunity to model simple, nutritious eating is missed. Not good. There is a breakfast companion ad in this campaign, where the featured items are Froot Loops, Frosted Flakes and Jimmy Dean’s Pancakes and Sausage (on a stick). No additional comments necessary, except if the same family is bookending its day with WalMart’s meal suggestions, that puts a LOT of pressure on lunch. On the other hand, it’s probably not easy to match program participants to be nutritionally balanced. And at the end of the day, business is business. Check out this Kraft Mac & Cheese ad from the 1950s, and hang in there for the hot dog meal suggestion. We have some significant weight/health issues in this country, and I wish we could do better. Posted in Marketing and Media, Marketing Strategy and tagged Bloomin’ Onion, calories, carbs, Chef Boyardee Mini Ravioli, Chez Panisse, fat, Hot Pockets Pepperoni Pizza, Jimmy Dean Smoked Bacon Mac and Cheese, mac and cheese, macaroni & cheese, macaroni and cheese, Michelle Obama, nutrition, protein, saturated fat, school lunch, Smarter Start to School, WalMart. Bookmark the permalink.